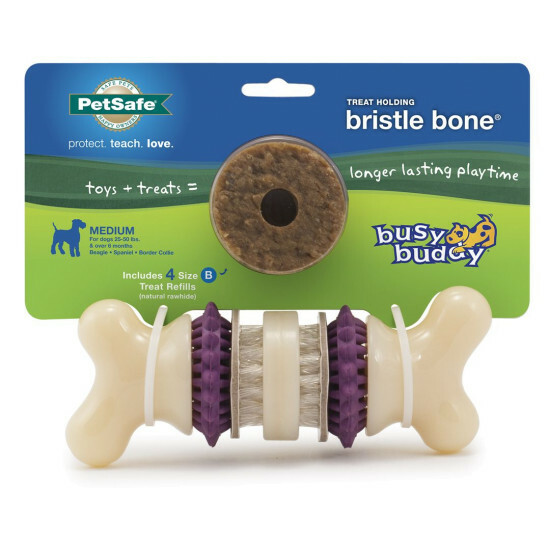 The Busy Buddy Bristle Bone has 3 chewing surfaces for dogs to gnaw on. The durable nylon bone, rubber nubs, and nylon bristles stimulate gums and help clean teeth. The refillable treat rings entice your dog to chew and reward good chewing behavior. 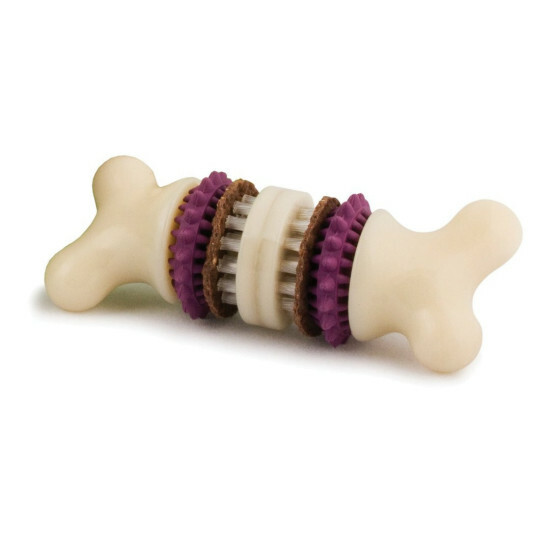 Choose from natural rawhide treats or dental treats made in the U.S.A.
To use, unscrew the Bristle Bone® and remove the first rubber nub ring and the bristle ring. Slide a treat ring onto either side of the bristle ring. Replace the rubber nub ring, and then screw the bone back together.